With Election Day two weeks away, the City of Norwalk Town Clerk’s office continues to issue absentee ballots to residents who will be unable to appear at their polling place on the day of the election. Thus far, nearly 1,000 absentee ballots have been issued. 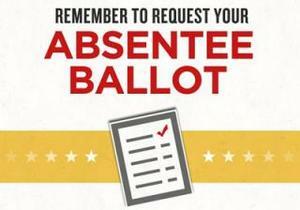 Applications for absentee ballots may be requested by mail, phone, in person at the Town Clerk’s office or online from the Connecticut Secretary of State. Applications are available in English and Spanish. In an effort to accommodate residents, the Town Clerk’s office will be open special hours on Saturday, November 3, from 9 a.m. – 12 p.m.
A resident can request an absentee ballot for any of the following reasons: active service in the U.S. armed forces; absence from town during all the hours of voting; illness; physical disability; religious beliefs prevent secular activity on that day; required performance of duties as an election official at a polling place other than your own during all the hours of that day. Residents are advised that voting by absentee ballot if they are not eligible to do so for one of these six reasons can subject them to civil and criminal penalties. If an elector has incurred an illness or physical disability within six days of an election, they may apply for an Emergency Absentee Ballot. They will be able to designate someone to deliver the ballot to them and return it to the Town Clerk. If someone has a permanent disability, they may be eligible to apply for a permanent absentee ballot. The Norwalk Town Clerk’s office is located at Norwalk City Hall Room 102, 125 East Ave., Norwalk, CT. 06851. The office is open Monday-Wednesday, 8:30 a.m. – 4:30 p.m.; Thursday 8:30 a.m. – 7 p.m.; and Friday 8:30 a.m. – 4:30 p.m.
For more information, call the Town Clerk’s office at (203) 854-7747 or visit norwalkct.org.